Sen. Kamala Harris (D-Calif.) and Rep. Yvette Clarke (D-N.Y.) are sponsoring legislation to put a statue of Shirley Chisholm, the first black woman elected to Congress, in the U.S. Capitol. Multiple Democratic senators are already co-sponsoring the measure, including Cory Booker (N.J.), Kirsten Gillibrand (N.Y.), Tim Kaine (Va.) and Elizabeth Warren (Mass.). Sen. Bernie Sanders (I-Vt.) is also on board. The bill would direct the Joint Committee on the Library to enter into an agreement to obtain a statue within five years of the bill’s passage. On the heels of Black History Month and at the beginning of Women’s History Month, Chisholm is perhaps the perfect candidate for the honor. 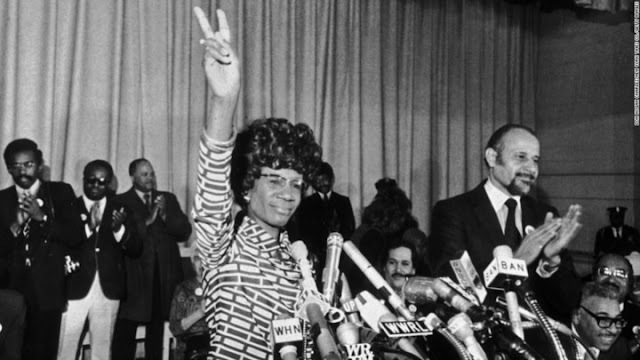 Over her groundbreaking political career, she became the first black candidate for a major party’s presidential nomination and the first woman to run for the Democratic Party’s nomination. She served seven terms in the House from 1969 to 1983. Now the question is whether a Republican-controlled Congress will honor this “unbought and unbossed” black woman.